It has been a while since i last posted,and it is about time i got back into the swing of it. wooooooooooooohooooooooooo a bloody card at last!!!! 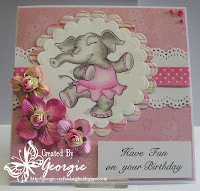 Fab card,love the image and your colour scheme. Beautiful flowers too, thanks for joining in at Cardmadfairy. Hugs Gillian. Oh this is so much fun a wonderful image and beautiful flowers. 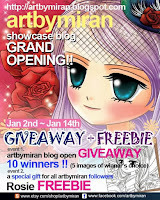 You certainly were very quick at entering our 'Add Flowers' challenge at Cardmadfairy Digi Days. This is so pretty! Rosie is so sweet and the pink really pulls it all together. How sweet! 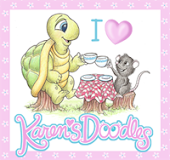 Thanks so much for joining us at Karen's Doodles! 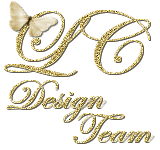 I hope you will join us again tomorrow for a new challenge! It's going to be a good one! 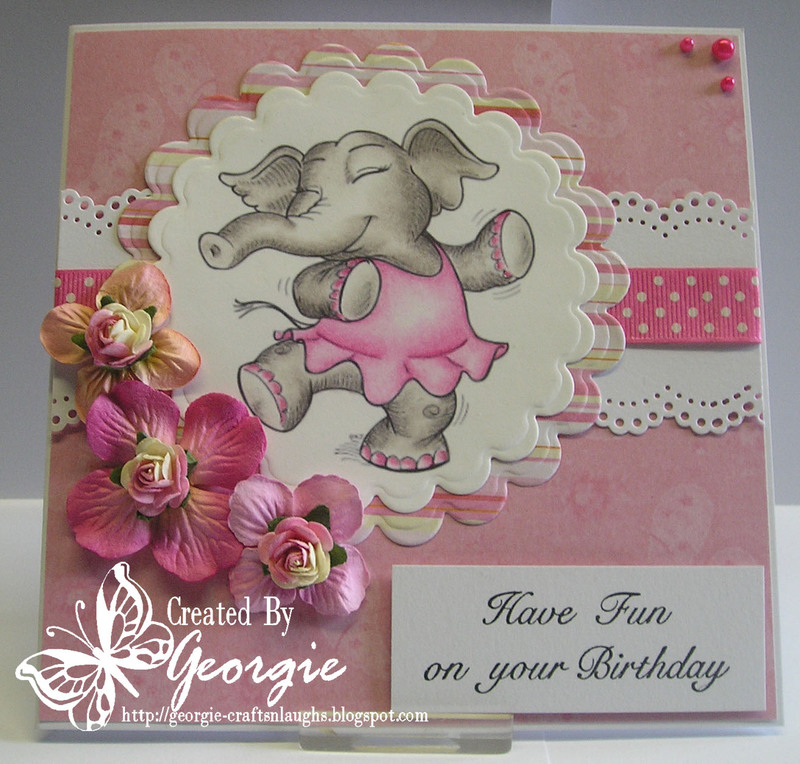 This card is wonderful, I love Rosie!